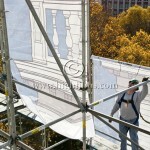 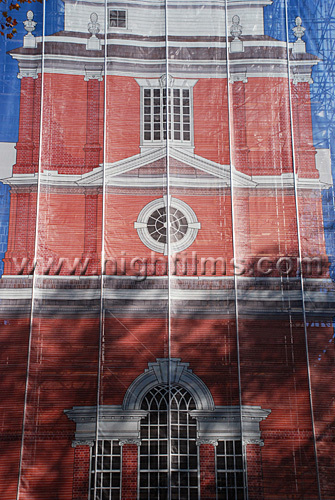 Superior Scaffold is wrapping up it’s role in the renovation of Independence Hall. 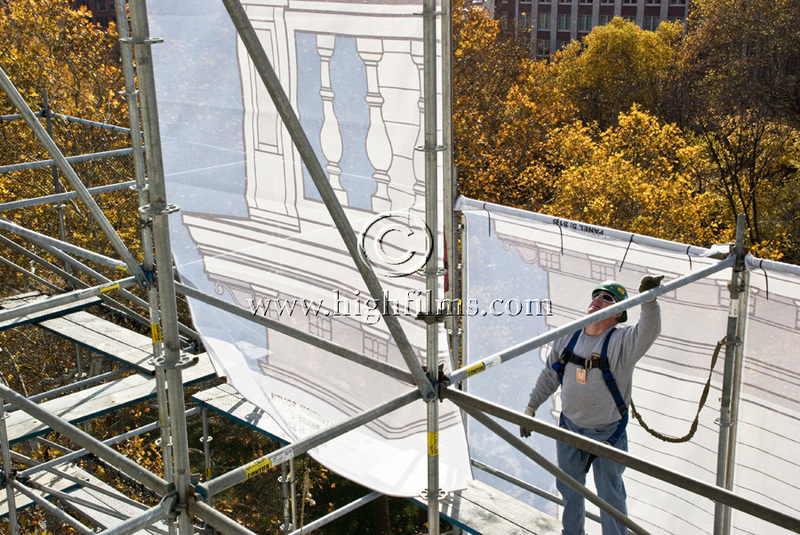 Here are some shots of the guys installing the scrim. 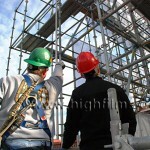 These amazing photos were taken by erik at highfilms.com. 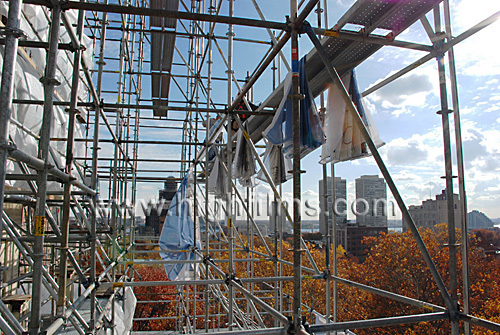 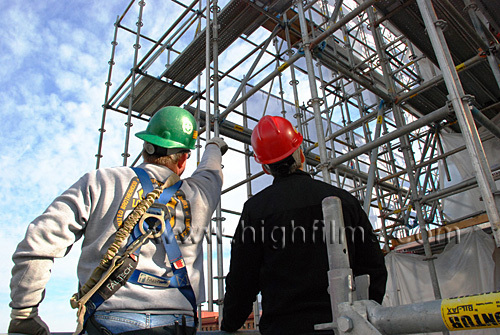 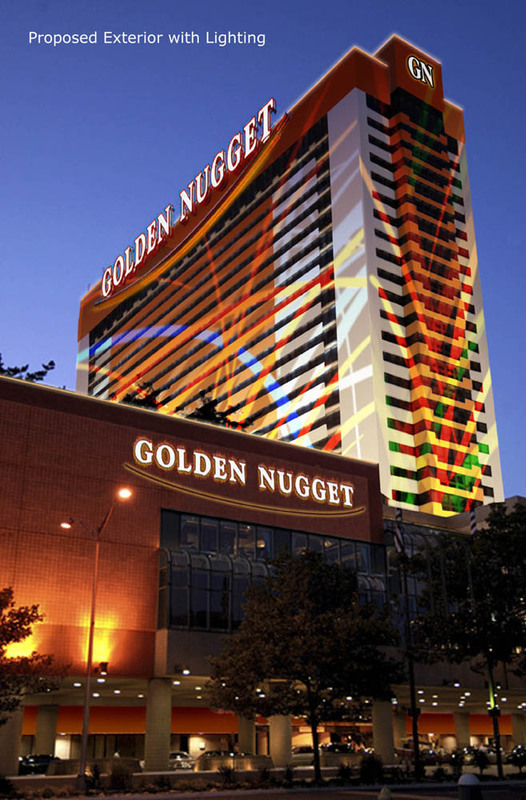 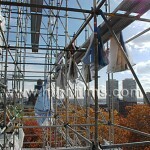 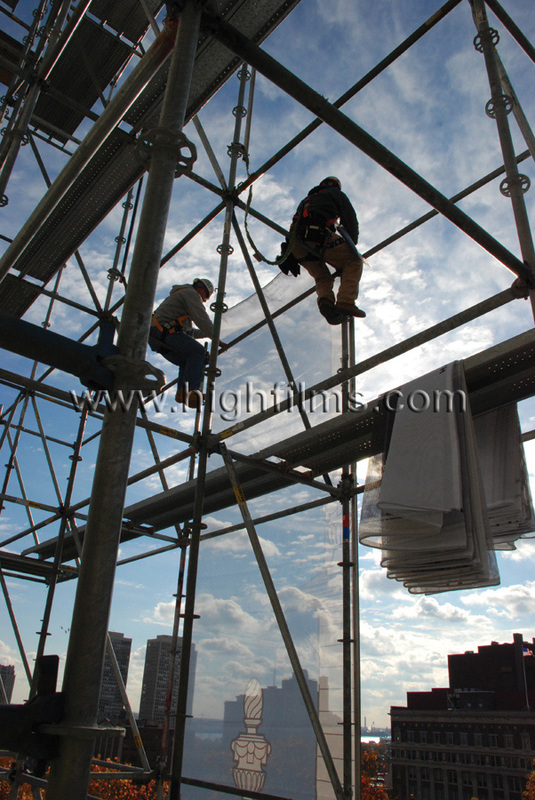 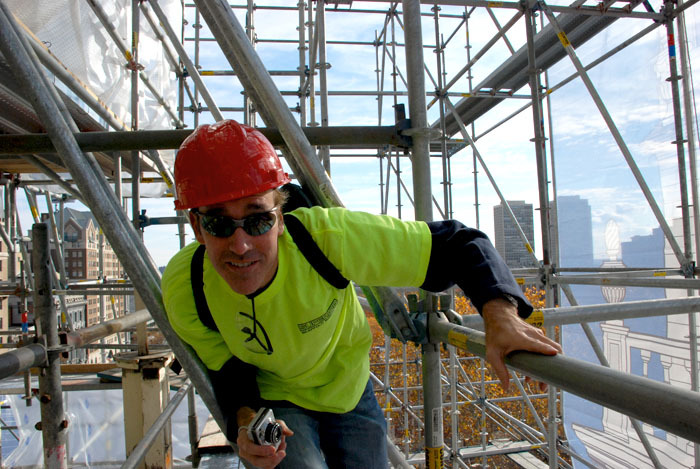 Get a more in-depth look at the project including pictures and details at Superior Scaffold.com. 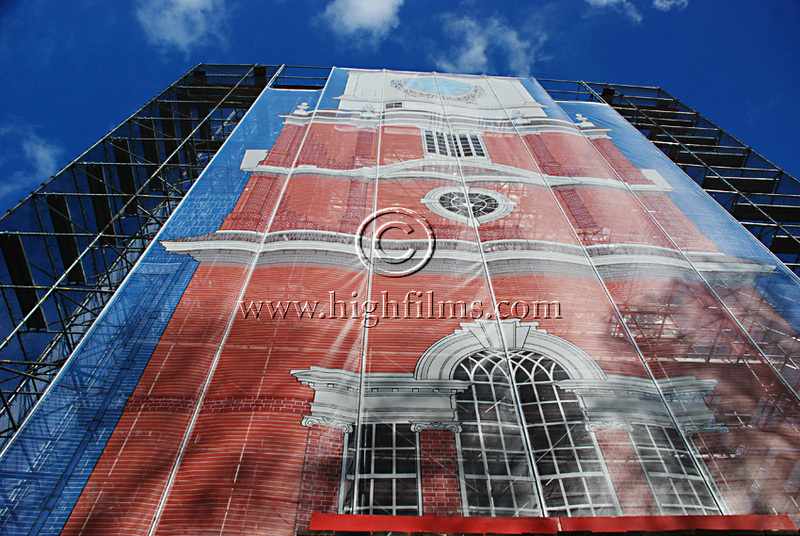 The top section is coming down now revealing the reguilded lightening ball and weathervane as well as the freshly painted spire. 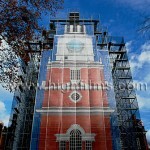 Click here to see what they looked like prior to renovation. 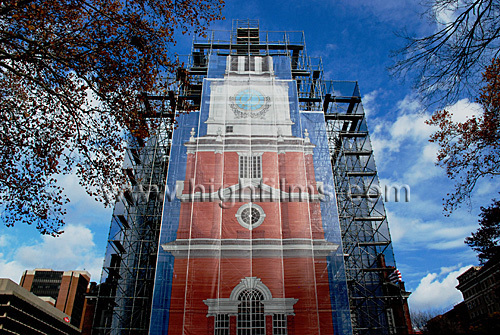 The second section will be coming down soon revealing the newly renovated glass clock faces and bell housing. 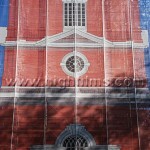 The scrim was provided by Friends of Independence. 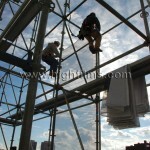 This has been a wonderful project to be involved with. 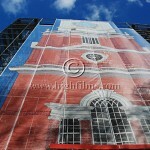 Tell us what you think.